More power. Brighter images. Wider field of view. 7.1 x 5.6 x 3.1", 44.1 oz. When packing for your next hunt or outdoor adventure, take along these compact, precision-quality, high-powered Steiner® 15x56mm HX Binoculars and bring distant objects into view. Delivering a wide, 241' field of view, Steiner® HX Binocs help you spot wildlife more quickly, at greater distances. Advanced lens coatings and premium optics ensure optimal brightness and clarity across a wide range of lighting conditions and environments. Roof prism design and a newly designed ergonomic, rubber-armored frame promise easier handling and rugged, all-weather durability that meets the challenge of your demanding, outdoor lifestyle. Field of View: 241' @ 1,000 yds. 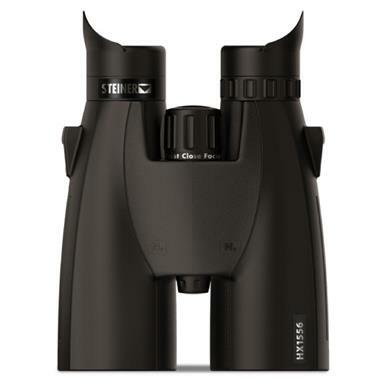 Dimensions: 7.1 x 5.6 x 3.1"
Steiner 15x56 HX Binoculars is rated 5.0 out of 5 by 6. Rated 5 out of 5 by Bert25 from Awesome set of binoculars! I just received this set, played around with them at the house but haven't had a chance to use them on a hunt yet. Awesome features on the HX 15X56, crisp view very clear glass! Would recommend! Rated 5 out of 5 by Texas Jaeger from Excellent Binos I usually do not waste time on writing reviews. But I make an exception this time. I have all kinds of high end binos; Swar, Optolypth, Zeiss but Steiner is the best in value and performance. I do a lot of low light huntings and HX15x56 is the best. Rated 5 out of 5 by Texas Cowboy from Fills a nice niech. The Steiner HX 15x56 is an amazing piece of equipment that is perfect for getting the small details on animals in less than perfect lighting conditions. (Long or short distances) 15X is hard to find in binoculars and has to be top quality to perform. These Steiner’s exceeded all expectations. I have only used Nikon and Zeiss and these exceed the performance of both. 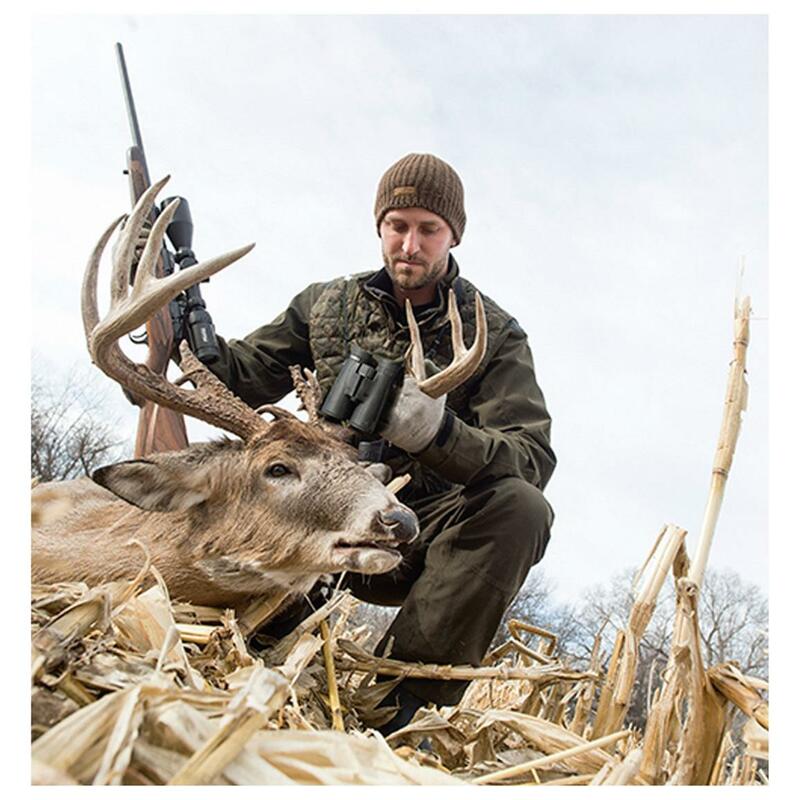 The 15x56 fill the perfect gap between hard to use sporting scopes and your average power binoculars or rangefinders. Get yourself a pair and see why Steiner is legendary. Rated 5 out of 5 by MrCrosby from Easy On The Eyes I live in Arizona and when I'm in the field I glass a lot. These bino's are very easy on the eyes. No headaches or eye strain from hours behind the tripod. I also have the HX 8x42. I use the 15's for spotting and the 8's for the stalk. Stays clear in the rain and as bright and clear as the other European glass that costs twice as much. You can't go wrong with the HX.